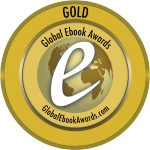 Grateful and Celebrating as Gold Medal Winner of the 2014 Global Ebook Awards! Congratulations Gold Medal Winner of the 2014 Global Ebook Awards! Congratulations Debbie Merion, for winning in the Non-Fiction – Parenting/Family category for Solving the College Admissions Puzzle. For the full list of winners based on category (Click Here). This event is intended for adults and teens (grade 9 and up). Applying to college? This event is for you: AADL’s 8th annual College Night with the co-authors of Solving the College Admissions Puzzle: A Guide for Students and Families About College Selection, Essay Writing, and High-Stakes Testing. Learn how to reduce your stress and increase your chances for success from the three experts of collegeadmissionsadvisors.com. Community High’s college prep counselor John Boshoven, M.A., M.S.W. 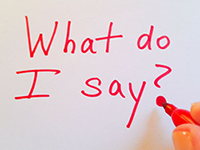 will help you understand how to find the college that fits; Essay Coaching founder Debbie Merion, M.S.W, M.F.A. explains how to write a winning college application essay, and Managing Your Mind principle Geri Markel Ph.D. will provide tips about how to score your highest on tests such as the ACT and SAT, to be followed by Q and A. This event will include a book signing with copies of the book available for purchase.